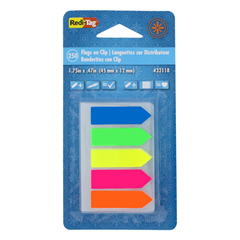 Keep 5 neon colored flags at your fingertips with our unique clip on style. 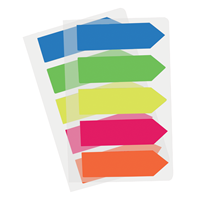 Clip them onto your notebook, files or whatever you're working on and flag your documents for easy reference. 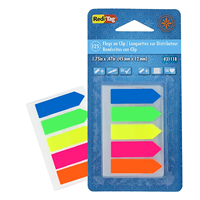 Neon, see-thru film flags won't cover up your text and can be removed and repositioned easily. 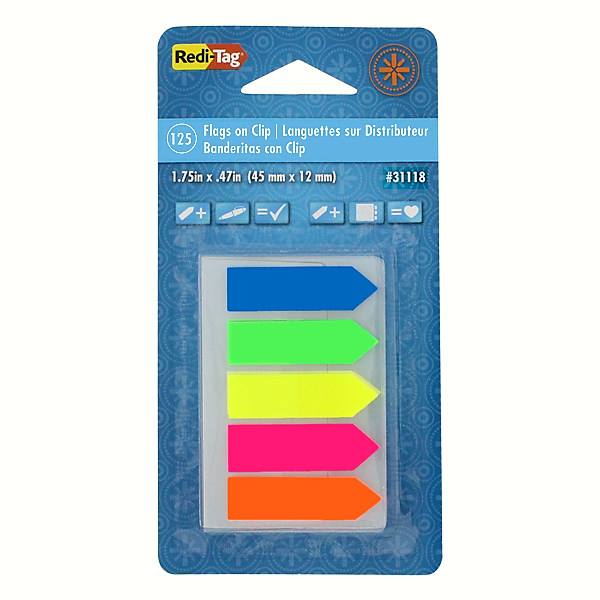 They're easy to write on too with ballpoint pen, pencil or permanent markers. Flag size: 1-3/4" x 15/32"